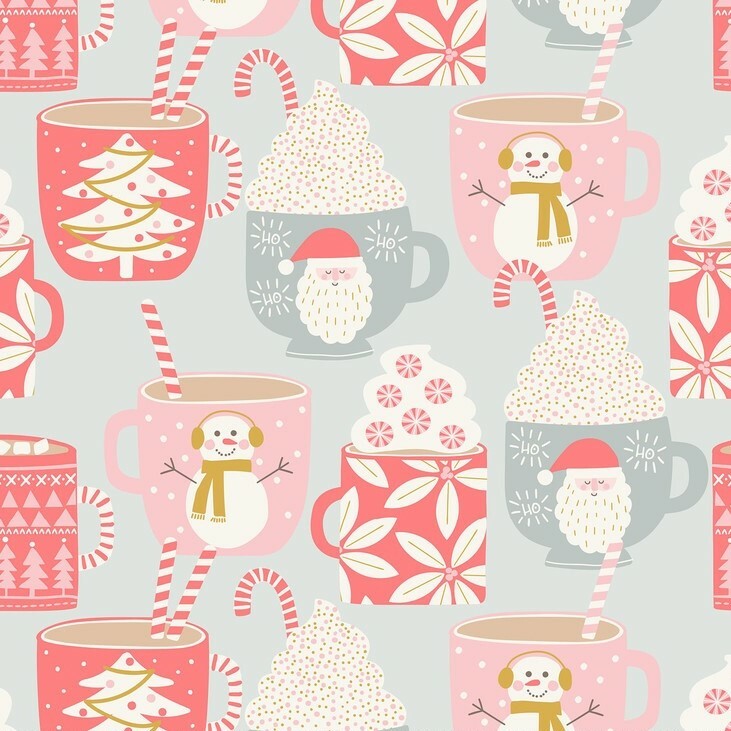 Kringle's Sweet Shop is guaranteed to make you feel all warm and cosy this Christmas.This collection comes in a homely soft pink with pops of green and red, and features some classic iconography. 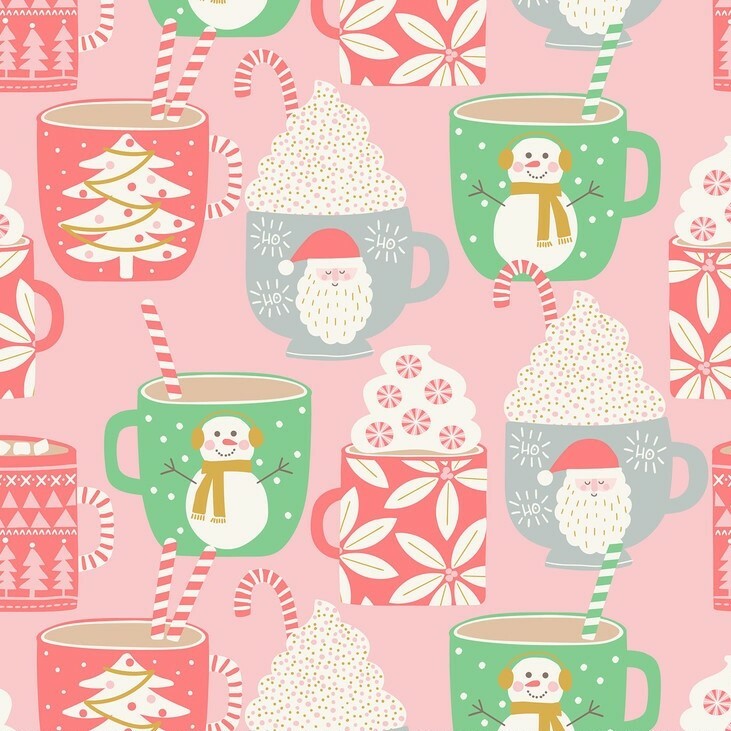 There's a forest of sweet candy canes; cupcakes that look like Christmas trees; and delicious mugs of hot chocolate complete with whipped cream and sprinkles! Frosted Snowflakes Ivory has a gold metallic decoration printed on top of it which gives it a slightly raised texture. 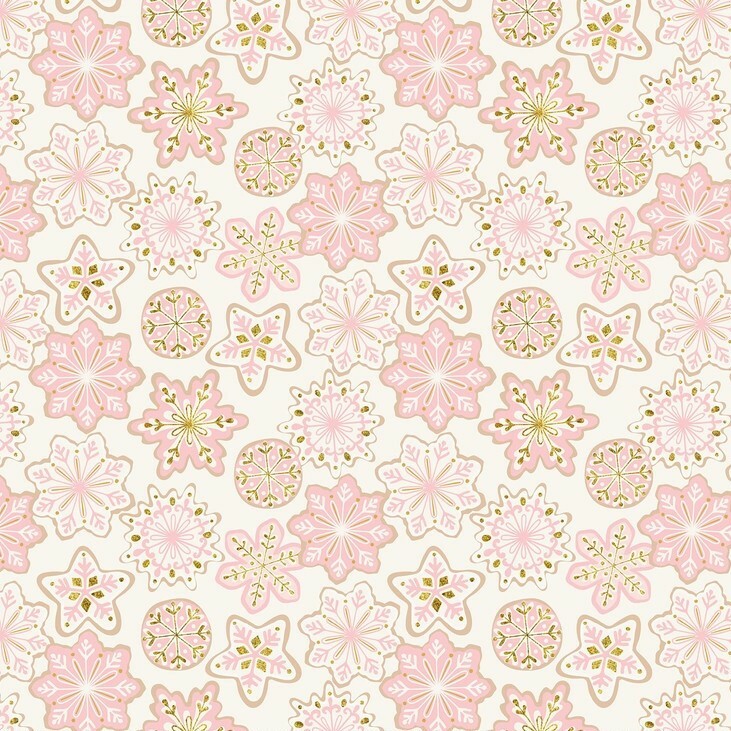 The way this fabric has been designed is perfect for making your projects feel more handmade. Welcome to Snowlandia, where our favourite pets dream of spending Christmas! 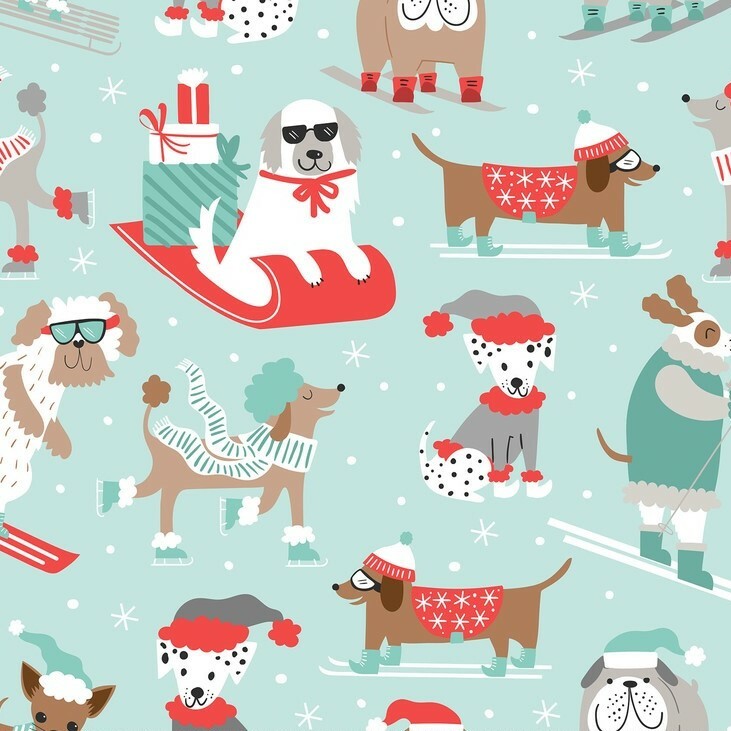 This fun fabric collection is a must-have for animal lovers. Snowlandia features cats and dogs enjoying their downtime on the slopes. 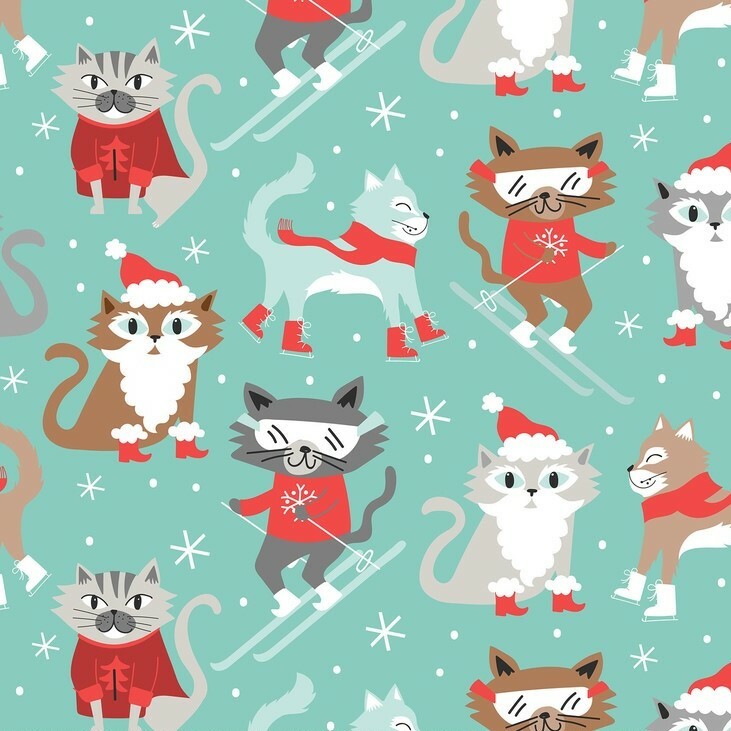 There's so much to see here - cats in Christmas jumpers; dachshunds on skis; kitties sporting snow goggles; there's even a dog delivering presents on a sled! 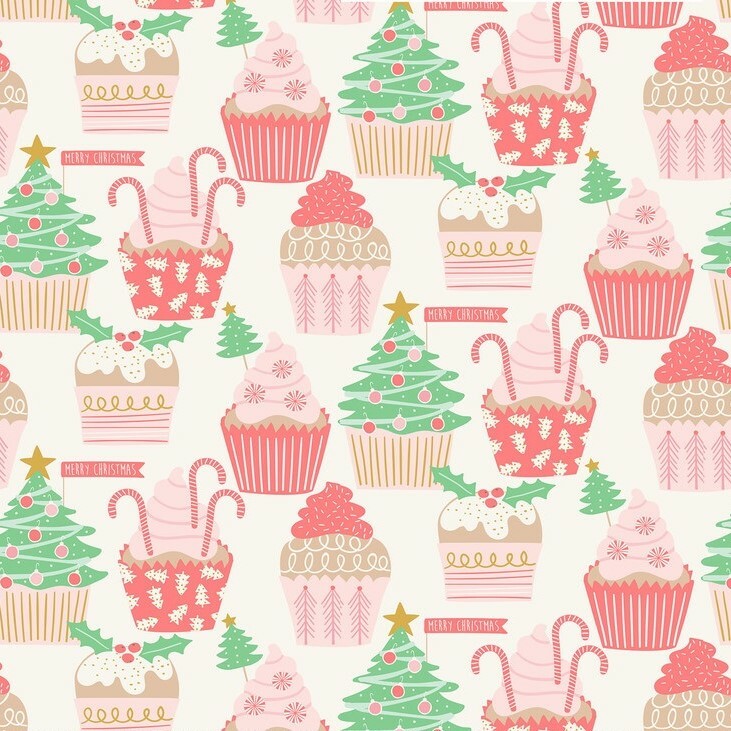 Don't forget to head over to our Christmas section to find more amazing fabrics for your Christmas makes!